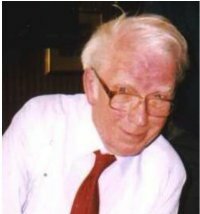 Hal Hoyte died at Oswestry, England on the 18th October 2017 after a long illness. His passing is a great loss to our Study Circle and to the philately of Central Africa in general. Hal joined the Belgian Congo Study Circle in 1956 when he was at college in Birmingham. In its first decade membership of the Study Circle was low and consequently intimate. He recalled that the Hon. Secretary of the time, Ray Keach, travelled by train to Birmingham to welcome him and another new member to the Study Circle, over afternoon tea. At the 2016 AGM members agreed unanimously to mark the diamond anniversary of his membership by bestowing Honorary Membership upon Hal. He greatly appreciated this act of recognition by his fellow collectors of the Congo. Hal enjoyed his boyhood, much of which was at Kalene in Northern Rhodesia where his father worked as a doctor at the mission hospital. It was in Africa where he fell in love with stamp collecting, concentrating upon the Belgian Congo (Katanga), Northern Rhodesia (Zambia), Angola and Nyassa. Hal was UK Packet Secretary from 1998 until 2009 and BCSC President from 2001 until 2003. He was also a notable member of the Rhodesian Study Circle, joining it in 1966. From 1968 until 1971 he was a member of the RSC Council and editor of The Journal of the Rhodesian Study Circle from 1974 until 1978. He was made a Fellow of the RSC and in June 2016 made a Life Member. His membership of the Belgian Congo Study Circle benefited the Rhodesians significantly. Influenced by Arthur Heim & Ray Keach's Cancellations of the NormalPost Offices of the Belgian Congo1886-1960, and Ruanda-Urundi 1917-1962 (published in 1975) Hal created a systematic listing of postmarks for neighbouring counties to the south, publishing North of the Zambesi: The Postmarks of Northern Rhodesia and Zambia, in 1983. This was followed in 2003 by South of the Zambesi:The Post Offices and Agencies of Southern Rhodesia (Later Rhodesia) and Zimbabwe from 1888 to 2001 and Their Postmarks. Both are regarded as the definitve refeence works on the subject. Hal's interest in philately was not all consuming. After retiring, he joined the U3A (the University of the Third Age - an association of people seeking intellectual stimulation in retirement), with philosophy as his field of study. We will miss him. Our deepest condolences go to his widow Jean and their two sons, Tim and Jeremy.